The camera car system with gyroscopic crane and Motocrane Ultra stabilization has a length of 12 ft from the point where it is held. It can be used with camera stabilized heads from different brands like Movi XL and Movi pro, Shotover G1, Arri SRH-3, DJI Ronin2, Flighthead mini (any mitchell mount). The camera car system, Motocrane Ultra is composed by the following accessories. Base, turret, crane, Iso and fairing. Motocrane Ultra can be transported in 5 cases inside one vehicle. The ukrainian engineer Anatoliy Kokush was awarded in 2006 with 2 Oscar for the concept and development of stabilized gyroscopic crane of the Russian arm and Cascad cinematographic cranes. From 1980 his company, Filmotechnic, helped to shoot important movies such as Titanic, War of the Worlds, Casanova and Wuxia Hero as well. He helped in many russian box office hits and ukrainian movies too. Nowadays, it is used for films like The Italian Job, Ocean's Twelve, King Arthur, Kingdom of Heaven, Bean: The Movie, Transformers, Iron Man 2 and more box office hits. 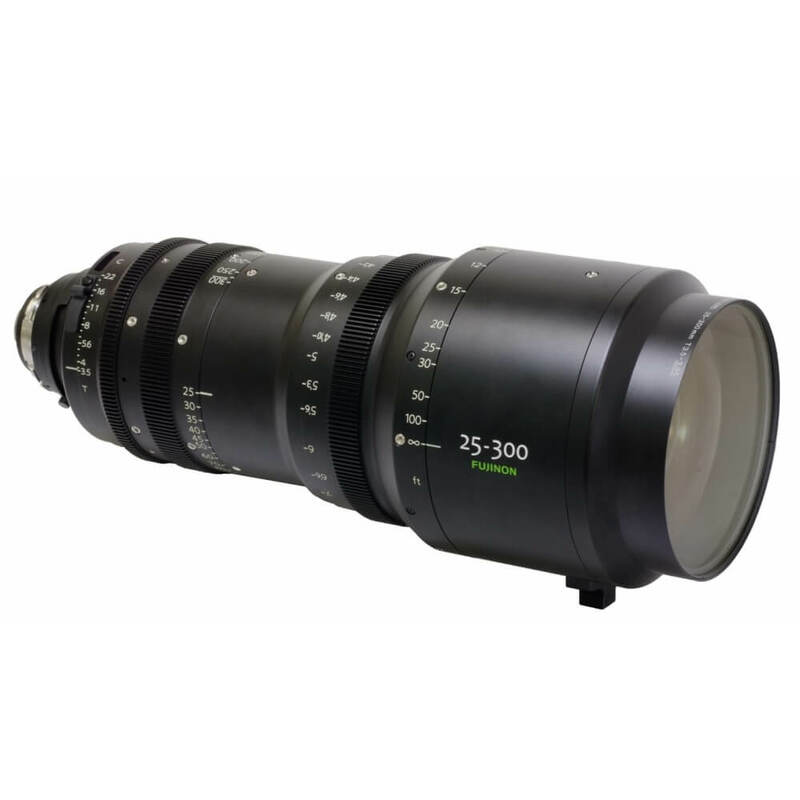 This rolling system has been constituted as standard in moviemaking and even, it is used IN publicity shooting. The new camera car system with gyroscopic crane offers new possibilities of shooting and logistic in productions in which trucks can’t be afforded. The whole crane system and camera stabilization can travel making a lower price in camera car service. The Motocrane Ultra is a crane system and a camera stabilization designed to vehicles and it can be operated easily on any ground with intense rain or extreme temperatures. The new design of the arm provides stabilization of active gyroscope, passive shock absorber and three adjustable axis.Due to these characteristics, the head and the camera are segregated and the result gives a stabilization of solid shot. 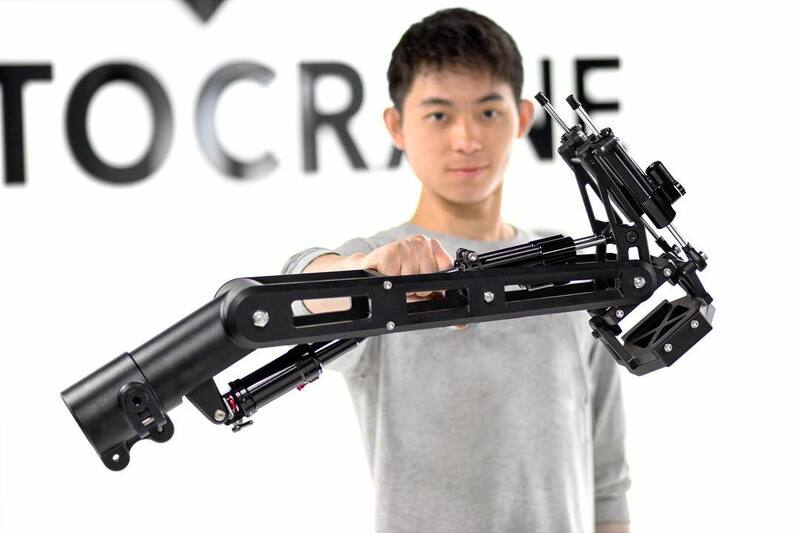 Motocrane is made with aluminum 7075 and 6061-T6 to get the best relation resistance / weight of any compact arm. 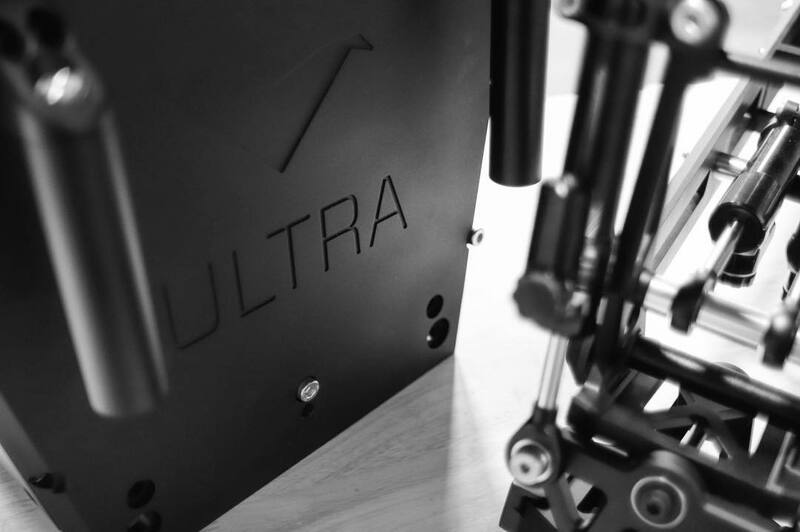 Motocrane Ultra is the lightest and most portable arm system ever made. This arm of 12 ft is the only one that can fly as documented equipment because of his weight of 190 lbs (without camera and stabilizer). Motocrane Ultra can be mounted on carts, trucks, boats and any platform owing to the speedrail clamps of 2’’ with TUV x4 certification. Maximum security for the camera equipment. Our suction grid kit (SSG) creates many different speeds in any place where it is positioned. 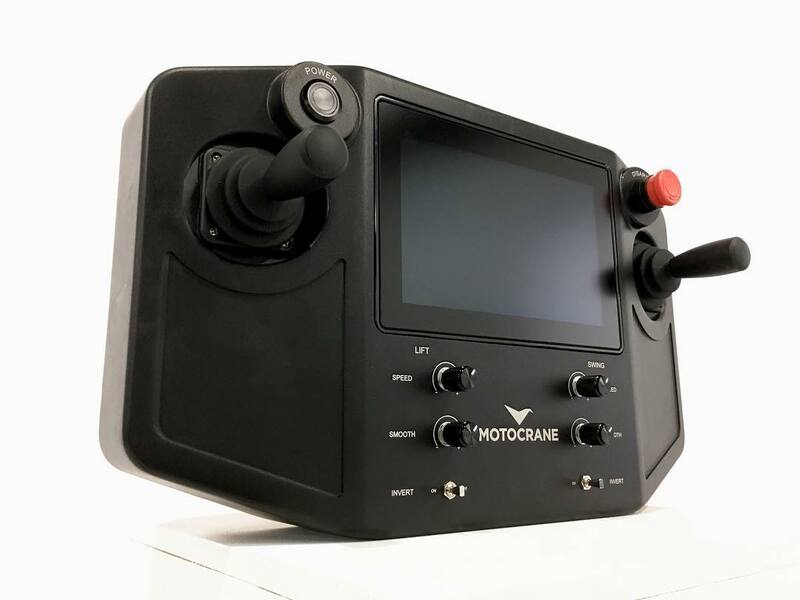 The new Motocrane Ultra controller provides independent control of each axis of gyre and elevation when the technician is using the double joystick.Also, there is a 7’’ tactile screen showing real timing, speed, limits and diagnostics of the Motocrane system. WHAT STABILIZATION SYSTEMS ARE COMPATIBLE WHIT THE CAMERA CAR MOTOCRANE ULTRA? 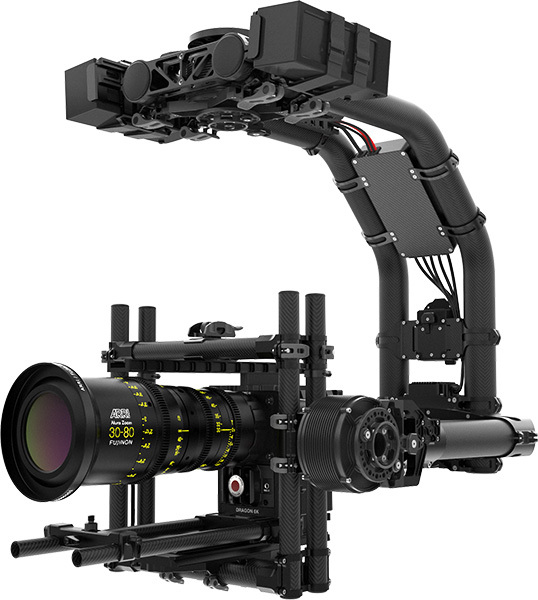 The camera car system with gyroscopic crane and Motocrane Ultra stabilization can be used with camera stabilized heads from different brands like Movi XL and Movi pro, Shotover G1, Arri SRH-3, DJI Ronin2, Flighthead mini. 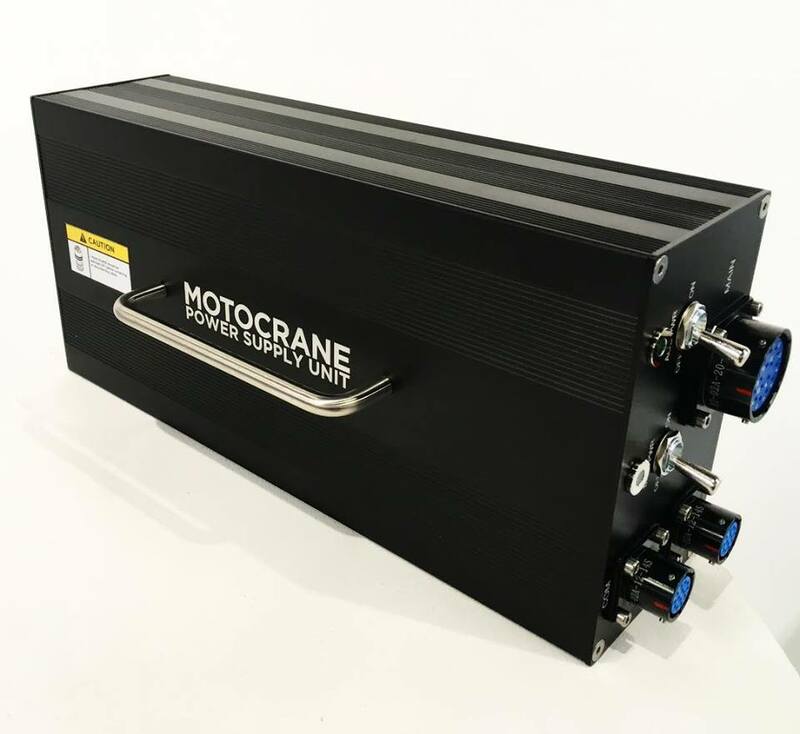 WHAT DO WE INCLUDE IN OUR MOTOCRANE ULTRA CAMERA CAR SERVICE? The camera car system that we offer is designed for the comfortability of the director and DOP. In this manner they can travel with the camera and crane technicians with 5 comfortable seaters and individual monitorization of camera too. The complete system Motocrane Ultra compact camera car that travels in 5 suitcases includes, Movi XL stabilizer, Movi controller or cranks for the handling of the hot head always available, Ford Smax Titanium 7 Seater Monovolume Vehicle, Professional monitoring, driver, operator of motocrane camera car and camera operator (hot head). 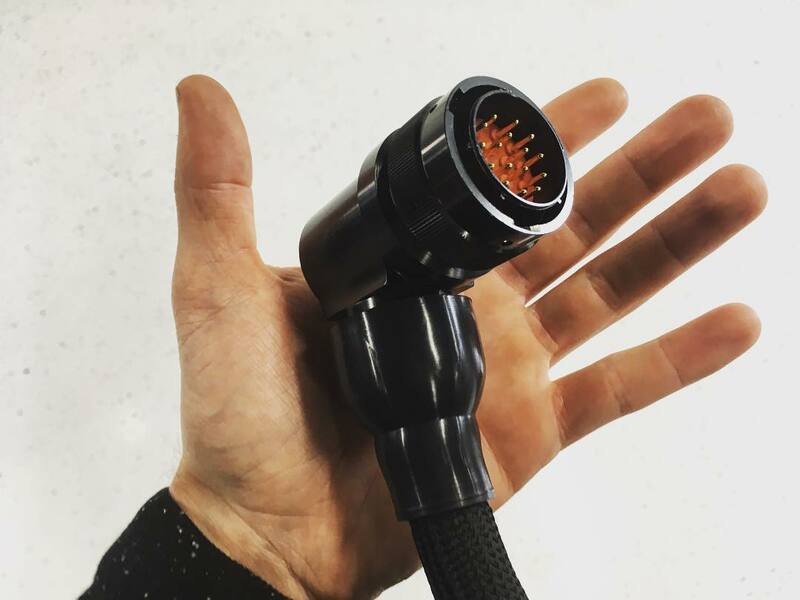 Movi Controller or Handles for operation. Camera Operator - Hot Head. WHAT OFFERS DO WE PROVIDE WITH OUR SERVICES MOTOCRANE ULTRA ? For our services of Motocrane Ultra Camara car we have discounts on some services and rental of materials when you hire car camera services. Discounts of 30% on lighting services ARRI LED AND ARRI M SERIES. Discounts of 30% on rent of special power supply of BEBOB batteries. Discounts of 20% on any camera material. Accessories included ULTRA System (Base, Turret, Crane, Iso, Fairing) MotoCrane Controller 1x Power supply unit 1xAll cables, safety belts and keys. Built in 6061-T6, 7075-T6 Aluminum alloy, stainless steel, carbon fiber. WORK PERFORMANCE MOTOCRANE ULTRA CAMERA CAR. Active stabilization of the arm | Tilt axis, 1050 pounds PEAK stabilization. Check our special offers of camera and lighting when you hire our service Motocrane Ultra Camera car.